This distinctly independent oak table is orientated in its design on medieval monastery dining tables. The basic elements of this, table horses and a massive wood top were transformed into a contemporary, reduced form language. 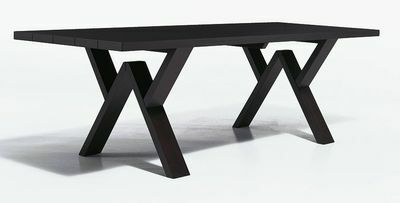 The massive table top, made from five staves, is traditionally connected to the two strictly geometrically designed table horses by strips. The model Salem is available in silver oak and swamp oak.